Many times vibration issues occur, we find that the culprit is a worn out u-joint. Over time u-joints dry out and the needle bearings will begin to wear into the trunnions. This causes excess movement and a vibration to occur. When Replacing u-joints there are a couple things we need to know. For automotive we can usually find which u-joint it is based on application (Year, Make, Model). Sometimes we require measurement of the cap diametre and cross length. One more specification we will need to know is whether you want greasable or non-greasable. 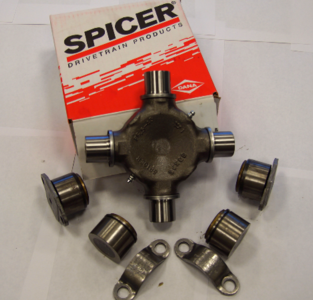 This is what a typical Spicer Universal Joint kit will come with. Displayed u-joint is a 1350 series u-joint. 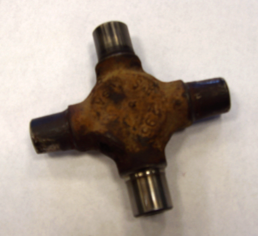 A universal joint that was run dry and wore out. 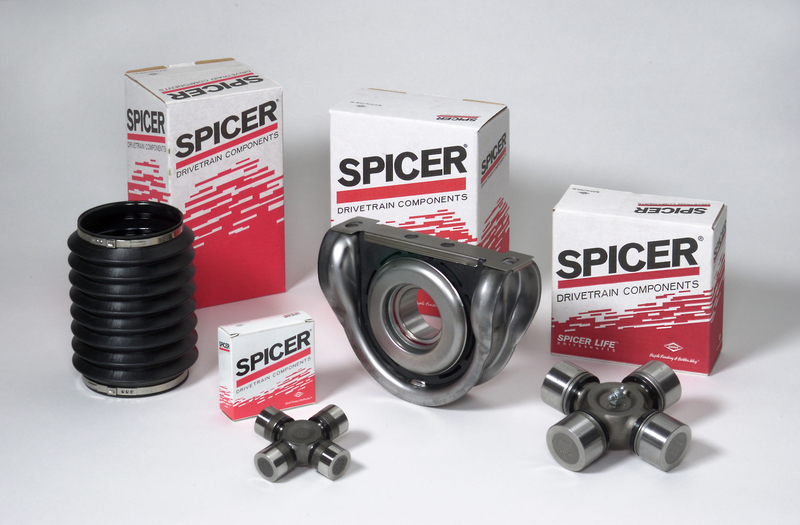 For larger commercial vehicles Spicer makes a more heavy duty line of Universal Joints. To identify a heavy duty u-joint, we need to know what series it is. You can find that out by measuring the cap diametre and the cross length from end of cap to end of cap. We also need to know if it’s SPL series or the standard series. The standard series will have flat caps that are bolted in to keep the caps from sliding out while SPL series have small tabs with two small bolts holding them in. SPL Series are a newer series. They are stronger than the standard u-joint and only come in the half round style. 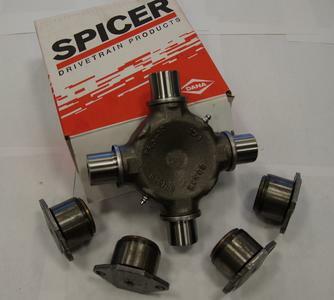 The two most common u-joints of the SPL line are 170 and 250. SPL 170 will be found in the inner axle driveshafts on tandem and tri-drive units, while SPL 250 will be found on the main driveshafts. 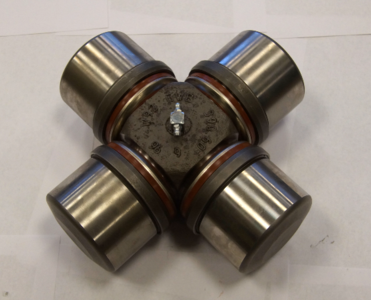 Standard Heavy Duty U-joints come in two different styles, either half round or full round. Half Round means that the kit comes with two caps that have flat plates on them to bolt onto the component and two caps that do not have caps. The caps that do not have flat plate are held in with strap kits instead of using plates and bolts. 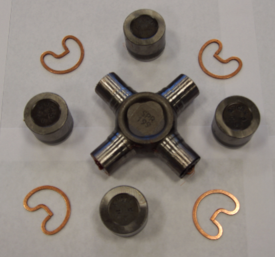 Full round means that the kit comes with 4 caps, all having a flat plate that gets bolted onto the driveline component. 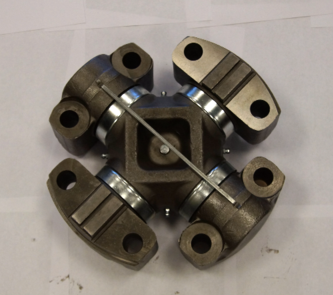 We can supply metric Industrial Classified Universal Joints in many different driveline series. Servicing the Frac-ing and Off-Highway Application.